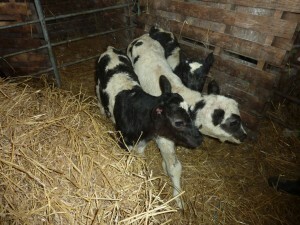 Welcome to Belgium Blue Triplets born in the practice recently. There are two females and one male. The mother is doing well, as are the triplets, as can be seen from this photo.